The European Union’s banking supervisor did not have the staff or powers to successfully stress-test EU banks’ resilience to financial shocks, according to a European Court of Auditors’ report published yesterday (2 July). The 2011 tests, conducted by the European Banking Authority (EBA) shortly after it was set up, were one of a series of measures to stabilise the banking sector in the aftermath of the financial crisis. They simulated disruptive market conditions to estimate how a sample of banks would react. Eight out of 90 banks failed the test—five in Spain, two in Greece and one in Austria. It stated that the tests had been useful in encouraging banks to bolster their capital reserves to pass the tests. But it was limited because it did not assess the quality of banks’ portfolios of assets. The EBA announced in January a second round of stress tests, which will access 124 EU banks’ resilience to credit, market and sovereign risks among others over a three year period. The results are due in October. The EBA is one of three pan-European Supervisory Authorities established on 1 January 2011, as part of the Commission’s response to the crisis. The report said the EBA did not have the resources it needed during the start-up phase. EU stress tests have been conducted since 2009 and were previously the responsibility of the Committee of European Banking Supervisors, the EBA’s predecessor organisation. The report said, “The Commission’s reform of banking sector legislation and the creation of the EBA and their activities in setting up the new regulation and supervision system of the banking sector established in 2011 were important first steps in response to the financial crisis. The EBA said the audit should be taken into consideration during the European Commission review of the European System of Financial Supervision, of which it is a part. Internal Market Commissioner Michel Barnier said the review would be completed before the summer break and that he “broadly shared” the conclusions of the report. 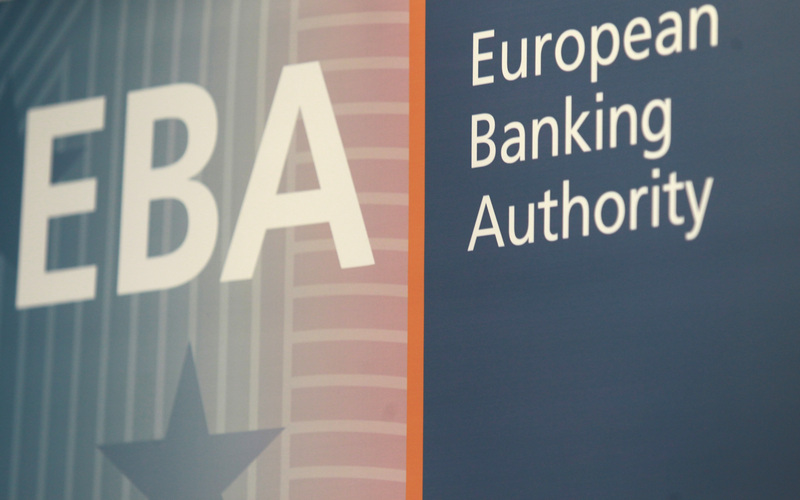 The EBA said: “The EBA believes it has positively contributed to addressing the issues raised by the financial crisis, by setting out stronger regulatory standards for the Single Market and putting continuous pressure on European banks to strengthen their capital position and clean their balance sheets. The EBA’s purpose is to assess risks in the banking sector and promote harmonised regulation across the EU. But the report said the EBA lacked the authority to enforce decisions to encourage that harmonisation and to resolve disputes between national regulators. In terms of cross-border banking supervision, the oversight of a bank headquartered in one country but with branches in another, there was also room for improvement. It is difficult for a regulator to ascertain the resilience of a bank if its headquarters are not under its supervision so national supervisors communicate with each other in colleges. The audit said those colleges were too often used to discuss procedures instead of focusing on risks to the stability of the banking sector. Consumer protection measures in financial services also needed to be strengthened, it said. From autumn 2014, the European Central Bank will supervise euro zone banks. The Single Supervisory Mechanism will involve cooperation between the ECB and the national regulators. The report said there was a risk that the roles of the ECBs, EBAs and national regulators could become confused and recommended further clarification through legislation and written agreements. Procedures for information exchange between the bodies should also be set up, especially in the transition period it said. Barnier said, “While the establishment of the Banking Union, and notably its key components of the Single Supervisory Mechanism and the Single Resolution Mechanism, will affect the functioning of the EBA, it does not call into question its existence. You can watch a video interview about the report below. The European Banking Authority is one of three European Supervisory Authorities established in January 2011, as part of the Commission's response to the financial crisis. It is responsible assess risks in the banking sector and promote harmonised banking regulation across the EU and for bank stress tests. The 2011 tests were one of a series of measures to stabilise the banking sector in the aftermath of the financial crisis. They simulated disruptive market conditions to estimate how banks react to them. Eight out of 90 banks failed the test—five in Spain, two in Greece and one in Austria. The European Court of Auditors said in a report yesterday that the stress tests were unreliable because the fledgling EBA did not have the powers or resources to carry them out successfully.